(RxWiki News) Mumps cases are on the rise, according to the Centers for Disease Control and Prevention (CDC). The recent high number of mumps cases has led two scientists from the Harvard T.H. Chan School of Public Health, Drs. Joseph Lewnard and Yonatan Grad, to study the reason for the outbreaks. Their research calls for further studies on the need for and benefit of an additional vaccine booster dose at age 18. 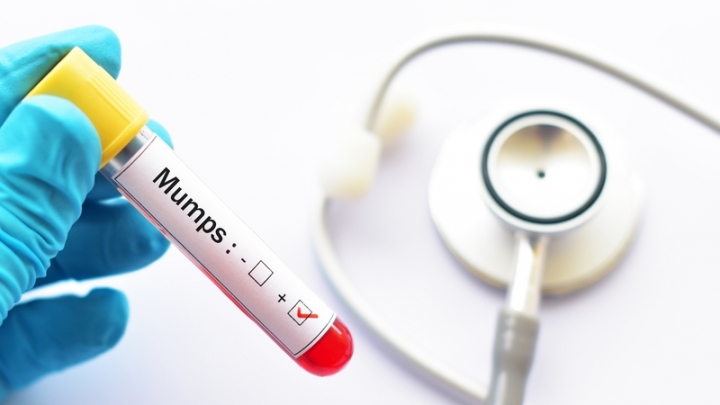 Mumps is a painful and contagious viral infection. Fortunately, the measles, mumps and rubella (MMR) vaccine can prevent mumps infection. The CDC estimates that, since the development of the MMR vaccine, the number of cases of mumps in the United States has decreased by 99 percent. Despite vaccine availability, in 2006, a mumps outbreak led to more than 6,500 cases. In 2016, more than 6,300 cases were reported in the US. These occurred in settings where people often have close contact with one another, such as college campuses. In 2017, over 5,000 mumps cases were reported in the US. Although it was preliminary data, as of late February 2018, 32 states and the District of Columbia had reported mumps infections in 304 people, the CDC reported. A major factor contributing to outbreaks is being in a crowded environment (schools, colleges and camps), living in a dormitory or playing on the same sports team with a person who has mumps. Symptoms of mumps infection include fever, headache, muscle aches, puffy cheeks, loss of appetite and tiredness. Ask your health care provider about how to keep yourself and your family safe from mumps infection. If you are interested in receiving the MMR vaccine, visit your local community pharmacy.